Introduce or reinforce basic financial concepts with these budgeting games for kids. 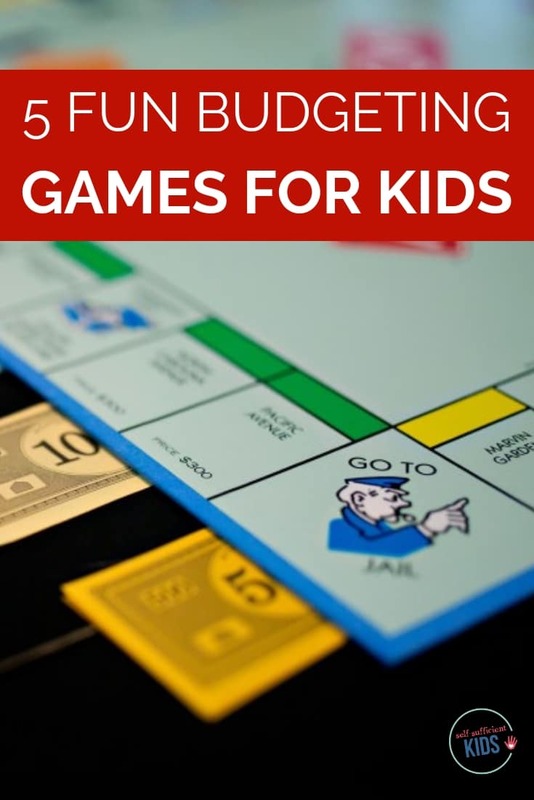 See 12 of The Best Money Games for Kids for more ways to teach kids about money. Only 32% of Americans put together a budget each month. While there may be various reasons why families do or don’t have a budget, an understanding of budgeting can be essential in setting oneself up for a brighter financial future. One of the best ways to help kids understand the basics of budgeting is to let them have money of their own to manage. (See this article to see why). But beyond the hands-on practice of budgeting with small sums of cash, kids can also benefit from board games that simulate more complex budgeting needs. Such as what it’s like to get a paycheck each month and have financial obligations. The following games introduce and reinforce budgeting concepts for children. But beware – in a few cases there are twists to the games that are implausible or may suggest sweepstakes or gambling, for example, are reasonable means to obtain cash. But budgeting games can also provide a perfect platform to discuss money issues with kids (such as why gambling should be avoided). They can also create an opportunity for children to learn from mistakes such as overspending or taking out too many loans. The budgeting games listed below are in the order of complexity. The first few games offer basic budgeting lessons while subsequent games are more complex and suitable for older children. If your child is still mastering the concept of bills and coins, Moneywise Kids is a great game to introduce the concept of budgeting. 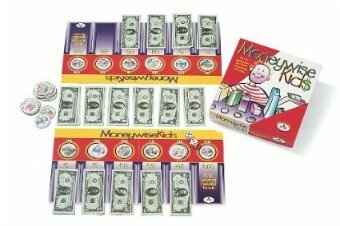 Moneywise Kids is actually two games in one and while the first game is focused on the acquisition of $100, the second game adds the element of paying for basic necessities. In the second game, players not only need to collect $100 but also all six Moneywise Markers which include paying for medical expenses, transportation, housing, taxes, clothing, and food. It doesn’t take much to become a winner in this two-person game, so educationally this budgeting game is really just an introduction to the concept. 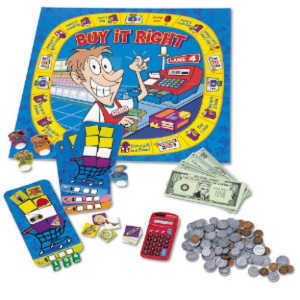 Buy It Right lets kids get hands-on experience dealing with bills and coins while also introducing the concept of prices and thinking through whether an object is too expensive or not. Kids set their prices and buy and sell items while moving their piece around the board. The game is best suited to 4th through 6th graders but can be adjusted for younger kids with fewer math skills or money recognition. 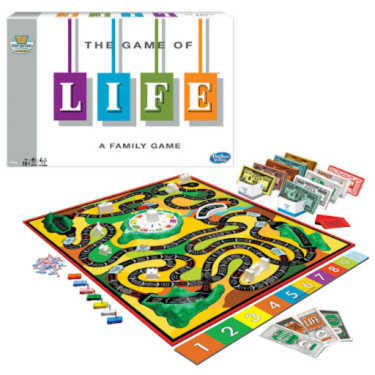 The Game of Life is a classic. And while some of the outcomes of the game are questionable – the winner is the one with the most money and not all of the events that occur are realistic – kids do receive an introduction to budgeting, as well as insurance, taxes and other financial considerations. As you play the game it might be worth pointing out some of the less plausible events which can open discussions about money management in general. Also, be sure to purchase the classic edition. The newer, updated edition doesn’t force players to consider as many financial decisions as the classic one does. 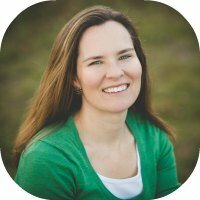 Skills focus: Introduces budgeting and saving a paycheck. 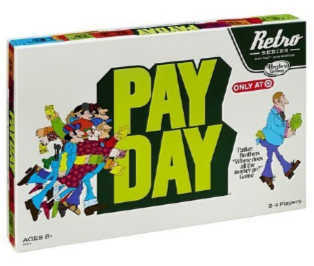 This classic game simulates what it’s like to get a paycheck each month while also having financial obligations. The game board resembles a calendar month and each space represents events like insurance offers or bills to pay. Players are also able to receive 10% interest on the balance of their savings when they land on Pay Day. The object of the game is to be the player with the most cash and savings at the end. Beware that the newer version of this game includes windfalls such as sweepstakes, lotteries, casino nights and jackpots which aren’t the best concepts to be introducing to children in a fun way that makes it easier for them to win. The classic version (featured above) is more focused on budgeting and basic financial concepts. The classic game of Monopoly doesn’t teach budgeting skills in quite the same way as other games above. However, players are forced to strategically think through whether or not to purchase properties or hold on to cash. 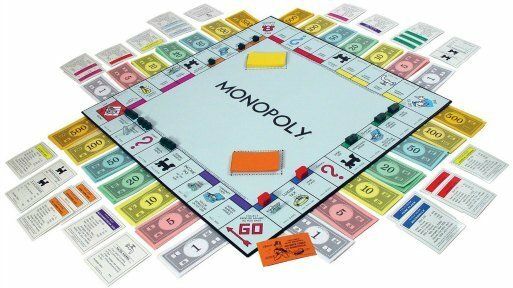 Also, unlike some of the other games listed above, Monopoly gets into more complex money concepts such as owning real estate, paying taxes, and dealing with large quantities of cash. 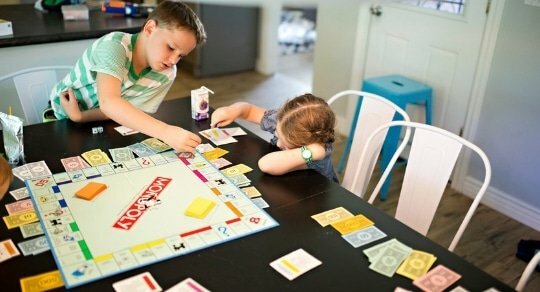 Older kids will enjoy the challenge of classic Monopoly while Monopoly Junior is more suitable for younger kids.